A’kin’sÂ products caught my eye becauseÂ theyÂ are formulated free from sulfates, parabens, petrochemicals, propylene glycol, silicones, phthalates, mineral oils, DEA and artificial colours. 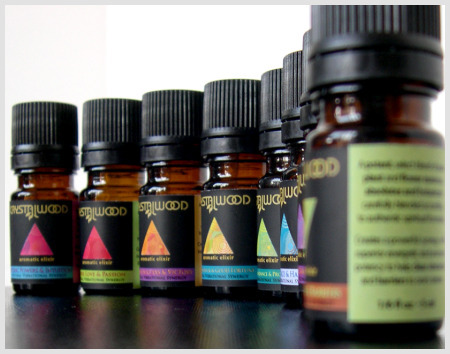 In fact, their products are described asÂ ingredient rich, vegan, 100% natural botanical aromatherapy and formulated without animal ingredients or animal testing. I’m bias towards foaming cleansers that do not dry my skin and Aâ€™kin Sandalwood & Neroli Pure Facial Cleansing Gel does just that.Â This is why it is currently my favorite cleanser.Â It foams really well and works for me in terms of removing my light makeup andÂ yetÂ leaves my skin soft andÂ refreshed, even with double cleansing. The scent of scandalwood took some getting used to though, as it is rather strong and it reminds me of some old furniture.Â But a few days after using this cleanser, the smell stopped bothering me.Â I also like the rubber stopper, which helps control the amount of cleanser I pump out and I figure out that this 225ml is going to last quite a while.Â Although I bought it at a 20% discount, I also think the original price of S$37 is quite a steal.Â I’ll probably purchase it again, provided I’m not distracted by other brands out there. Ingredients: Aqua, aloe barbadensis gel (20%), panthenol (vit B5) 5%, sorbitol (non-GMO), glycerine (botanical source), sclerotium gum, mannitol, ammonium glcyrrhizate,zinc gluconate, caffeine, horse chestnut extract, sodium hydroxymethyl glycinate, phenoxyethanol, ethylhexylglycerin, sodium gluconate (non-GMO), chamomile extract. 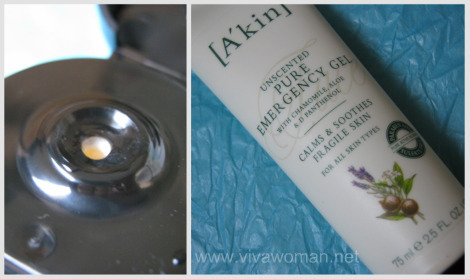 I had thought that theÂ Aâ€™kin Unscented Pure Emergency Gel might help calm down some of my hormonal acne around the chin but it turns out, this gel can do more.Â It contains 20% aloe, 5% d-panthenol (vitamin B5), chamomile extract, and is oil free. While it didn’t get rid of my acne, it did help to soothe them.Â But what I liked most about this gel is that it can help soothe rashes, cuts and redness on the body.Â I tried using this to calm down some rashes on my husband’s underarms and it worked great.Â It was also good in terms of helping to heal some cuts on my son’s knees.Â At 75ml for about S$34, the tube is rather small and can be used up quite quickly but I’ll say, this is a keeper and I’llÂ buy it again when there is a discount. Ingredients: rosehip seed extract* [CO2], echium plantagineum seed oil, ethyl macadamiate, squalane (from olives), jojoba seed oil, macadamia seed oil, seabuckthorn fruit extract* [CO2], amaranth seed extract* [CO2], pomegranate seed extract* [CO2], bisabolol**, chamomile flower extract* [CO2], calendula flower extract* [CO2], rosemary leaf extract*, sunflower seed oil*, schisandra fruit extract [CO2], caprylic/capric triglycerides**, carotenoids (from marine algae) *certified organic ingredient **plant derived ingredient. I didn’t intend to get the A’kin Cellular Radiance Serum butÂ the 10mlÂ cameÂ with the hand cream as a special bundle.Â Â TheÂ regular size is 23ml and cost about S$43.Â Quite expensive but it’s said to beÂ a highly potent serum for energized, brightened skin andÂ containsÂ six extremely active, certified organic ingredients using the latest CO2 method (using extremely low temperatures to maintain potency of ingredients) – Pomegranate, Seabuckthorn and Amaranth, combined with Omega 9, 3 and 6, as well as vitamins A and E to help fight free radicals.Â It ‘s good in terms of texture and I only need about one drop to moisturize my entire face.Â I like it as it doesn’t leave my face greasy but,Â I wouldn’t rave too much about it either as I don’t see my face getting more radiant after using this serum.Â But it’s probably a good serum for anti-aging purpose for those who like using oil on their face. Ingredients: Aqua (purified water), cetearyl alcohol (botanical), sodium stearoyl lactylate, glycerin, sorbitol (non-GMO), glyceryl stearate, jojoba seed oil, avocado oil*, squalane (from olives), panthenol (Vit B5), soy lecithin (non-GMO), caprylic/capric triglycerides, stearic acid (botanical), behenyl alcohol (non-GMO), shea butter*, sodium hydroxymethyl glycinate, phenoxyethanol, sodium isostiaoyl lactylate (botanical), glyceryl laurate (botanical), sodium citrate (botanical), tocopheryl acetate (vit E), citric acid (botanical), macadamia seed oil, lecithin, tocopherol, ascorbyl palmitate (vit C derivative), hydrogenated palm glycerides citrate, avocado oil unsaponifiables, sodium gluconate (non-GMO), lavender oil*, bitter orange oil, rosemary leaf oil, cardamom seed oil, pogostemon cablin oil, geranium flower oil, citronella, d/limonene, geraniol, linalool. Okay, I don’t like this one.Â Truly a waste of money in my opinion as while the Aâ€™kin Lavender, Geranium & Jojoba Hand, Nail & Cuticle CrÃ¨me is nourishing, it leaves my hands feeling somewhat dry.Â I suspect it is the Cetearyl Alcohol that is causing this because whenever I use creams with this or similar ingredients at the top of the ingredient list, I get the same drying feeling.Â I could be wrong but the bottom line is, there are better hand creams for that price point.Â So no, I wouldn’t recommend this hand cream unless you have sweaty palms and perhaps this might help to keep your palms drier. As a whole, I think some of A’kin’s products are worth checking out.Â Their ingredients are fairly natural and the prices are reasonable.Â I have also read raves on some of their hair products and was told that those products sell well.Â So if you’re in the market for natural products, you might want to take a look at them.Â Read the reviews at Makeupalley to get a sense of how well they’ve worked for others and if you want to get more information on their products, check up their website at www.purist.com.au. And if any of you have tried some of their products, do share your views here. Thanks for the review. Shall try the cleanser cos i really love sandalwood smells..old furniture smell. You do? It’s not unpleasant but I don’t really like it. Thanks for writing about this and especially for listing the ingredients! It’s good that all natural ingredients are used and mineral substances are not included. Unfortunately, I am highly allergic to Jojoba Oil. Even a trace amount provokes a severe and persistant rash on me. You are allergic to Jojoba Oil? Wow, I was under the impression that it’s very mild and would suit everyone – your reaction to it sounds severe! So that doesn’t leave you with a lot of commercial options cos this oil is used in many products. Hi S, actually the hand cream works well for me 🙂 I have one near my bedside which I rub on at night. I like it for it’s non oily feel. I had used the Body Moist but find it too thick and ‘dry’. Still trying the cellular face mist. Oh, Guardian Pharmacy is having 20% discount on A’kin products , ending end may. You like the hand cream? I find it too drying and feel strange using it. 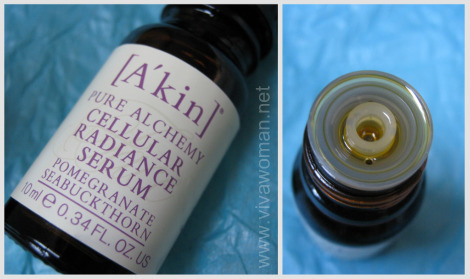 I bought my first A’kin products last year, at a similar sale at Guardian and I agree, I was very pleasantly surprised by the hardworking products. I bought the Rose-geranium cream cleanser which has been amazing. I think it also tones my skin as it cleanses, so no false claims there. I also bought the leave-in hair conditioner, which was the best investment I’ve made since the John Masters Organics’ Shine On. The A’kin conditioner truly made my wavy-curly hair soft, manageable and frizz-free. 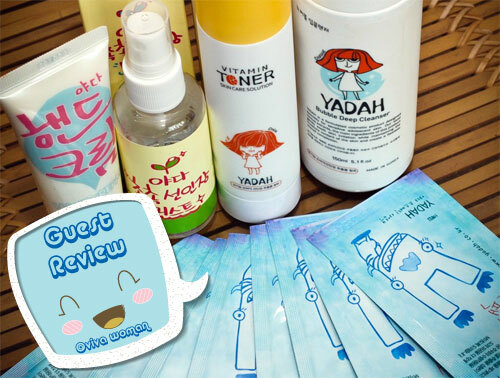 So thanks for the reviews, now I can try more of their skincare products too! You’ve tempted me to get it!! Glad you found something that worked for you! I was using Yuan soap for awhile too…they’re great for skin issues. But I’ve moved on so haven’t purchased their soaps for awhile already. I love ah yuan soap too. It works great for my sensitive acne prone skin. Recently they have come up with a series of liquid shampoo. Love it. My other love is their laundry soap! Oh they have liquid shampoo now? Haven’t seen it around. Must check it out. I’ll like to try it. I also haven’t seen the laundry soap – saw it in their pamphlet but not in the stores. Wow, that sounds great. Looks like their products are really suitable for those with sensitive skin. 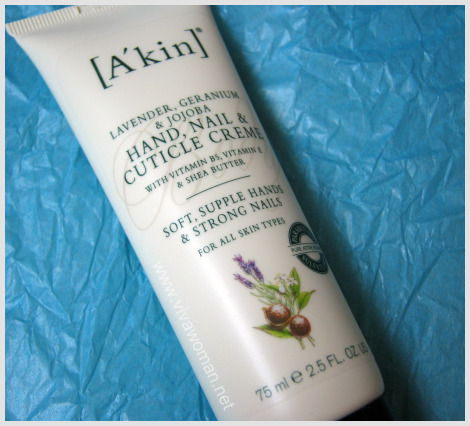 ohh, i didn’t know Akin products are sold at guardian because i usually buy from organic shops. but i’m currently using their conditioner and hydration gel creme. both products work well for me and i love the hydration gel creme because it soothes the redness on my skin and not oily at all! 🙂 is akin sold at all guardian outlets? because i didn’t see it at toa payoh outlet. hahas, i want to take advantage of the discount! Yes, you can find at the the bigger Guardian stores like Suntec City, ION, etc. I’ve tried the rose geranium cream cleanser which was passed on to me by a friend who didn’t like it. Sad to say, it did not work out for my skin either. It left me with a greasy film and clogged up my pores after using it for some days. I was using it in the mornings cause it does not cleanse off face and eye makeup at the end of the day as well. I was told the Sandalwood cleanser sells better – one of their best sellers here. Anyway, I prefer foaming cleanser. My experience with cream cleansers are the same as yours – doesn’t clog my pores but that’s because I always follow on with a foaming cleanser. Can’t stand that “film” it leaves over my skin. PS. how long did your cell repair essence (if you used it) and repair cream last? I used the essence only at nights (about 3 spritz) and it finished in one and a half months! Do you mean the Cell Luminous Essence which is 15ml? Previously, I used it up in a month or so but now I’m stretching it with one small squirt (3 is a lot!) cos I heard that other customers can stretch theirs for months! Repair cream takes longer – 4 months or so cos I use very little. nope, cell repair essence 30ml! dang okay i guess if i’m not the only one that uses it so fast then i can’t complain so much. bleah! 30ml last longer. Maybe 3 months for me…didn’t quite keep track. hmm sorry I have another True Beauty comparison question! would you say Akin might measure say, 80% effectiveness, against TB? It is quite value-for-money, but one of the main reasons I’m using TB is because it really cleanses my skin better (reducing dullness and slowly evening up the skin tone) than most cleansers I’ve used! I’m wondering if you had similar experience with Akin? Or does it just feel good? I’ll say around 70% effective – it cleanses well but it’s missing something to help improve the skin tone I guess. In fact, I just replenished the TB cleanser and now, I use that in the morning and in the evenings, I’ll cleanse my face with Akin’s first and then double cleanse again with TB’s – trying to stretch the latter since it’s so ex! Susan doesn’t advice that of course. She thinks it might cause more problems but so far, it’s okay for me and I say, easier on the pocket. The bad thing about TB’s cleanser is, I always think that other cleansers can’t match and I get paranoid thinking that my face isn’t that well cleansed. Have you ever tried any shampoo from A’kin? No, but I was told that their best selling products are their shampoos. Speaking of which, maybe I’ll pick one to try cos my Burt’s Bee is currently low on supply. their shampoo are wonderful ! im using the lavendar series and i love it loads !! i usually buy 4 to 5 bottles at one go ! Wow…I’ve got to give them a try some time. I hear many good raves about their shampoos. But at the moment, I have too many shampoos to try. Must not buy any new ones. I bought it at Suntec’s. Think also saw it at Guardian over at ION. It should be unless yours is ultra sensitive. Having said that, I know of at least one person who did not take well to the cleanser and her skin is very sensitive. Does anyone know where to buy the akin shampoo and conditioner from in Kuching? Desparate to know so I don’t have to cart 3 months supply with me. Francee last post is: Do you and your BFF have similar fashion sense?